You’re just 2 weeks away from your delivery date, so it goes without saying that you will be super excited. At this stage, your baby has moved to the lowest point of your pelvis so you probably will be feeling somewhat of a lightning bolt sensations running up and down your legs. As you deal with what may be discomforting sensation, make sure you also keep a close eye for the signs of labor including regular stronger contractions. 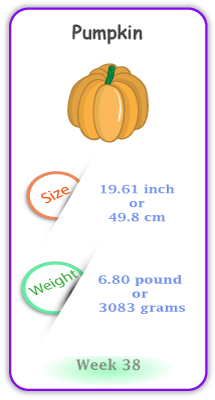 When you’ve reached your 38th week of pregnancy, your baby is fully developed and is as big as a pumpkin. The most common symptoms are related to your belly, and some that you’ve probably already been experiencing for the past few weeks of your pregnancy. 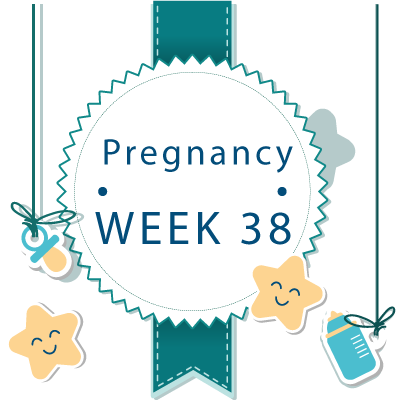 At 38 weeks, your belly is stretched to the max, so it is going to be a little more sensitive. To get some relief, always drinks lots of water and maybe apply some heavy duty moisturizer such as shea butter. This is one of those symptoms you’ve been experiencing for the past several weeks, and possibly will have to deal with it until you give birth. Apart from your growing belly and baby, it may also be your anxiety that’s causing you to twist and turn or keeping you up in the wee hours of the night. If you notice globs of some yucky stuff aka mucus plug, your body may be preparing to go into labor. This mucus leaks out owing to your cervix dilating to prepare for labor. The only thing that you’re thinking about is getting your baby out so you’re bound to feel a bit more anxious. Your best bet is to stay relaxed and keep your mind occupied with fun things such as adding the final touch to your baby’s nursery. – When you enter into your 38th week of pregnancy, you’re basically carrying around a fully developed baby, which of course is applying pressure on your body resulting in swollen ankles and feet. By this time, you should be well aware of the early signs of labor, and if you don’t, here’s the lowdown. As mentioned earlier, this is the gooey stuff that leak from your vaginal area and is basically your body’s way of preparing for labor. At this stage, contractions are a normal part of your day, but if they turn painful or closer than five minutes apart, it’s time to boogey down to the hospital ASAP. The diarrhea you experience is not the same, caused by the foods you eat, but rather because of the triggering of the labor hormones in your body. This term means that the amniotic sac in your body has broken causing fluid to leak, and if this is the case, your labor is just around the corner. Great chances are that you’ve already been experiencing back pain, but when it’s intense or sudden and especially in your 38th week of pregnancy, then it is termed as “back labor”. 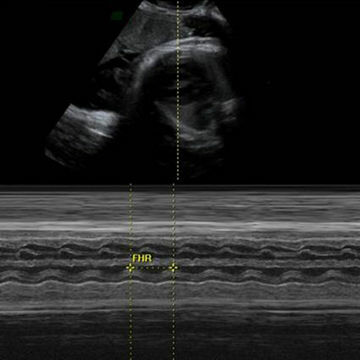 38th Week Pregnant Ultrasound - What to Expect ? If you’ve been seeing your doctor more frequently, great chances are that you will be visiting your OB this week. Your doctor at these recent appointments will check to ensure that your baby’s is in a head down position, so that it is ready to come out without any hiccups. You may also have a pelvic exam this week, where your cervix will be checked for dilation—a sign that your body is getting ready for labor. However, your OB may ask for a 38 week ultrasound if any complications are present or if they want to take an in-depth look at your baby. At 38 weeks, your baby is fully developed and ready to set foot into the real world. In terms of size, your baby tips the scales at approximately 6.80 pounds and weighs 9.6 inches. Educate yourself on the early signs of labor.